Mixed spring flowers i.e. 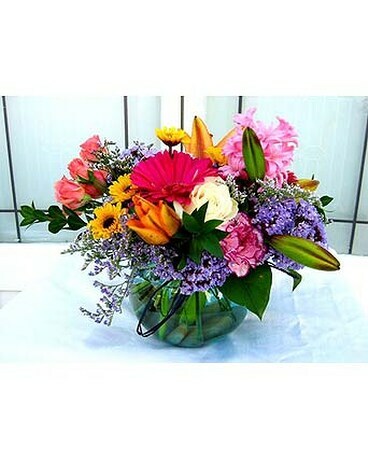 lilies, gerbera, roses, carnations and others arranged in a clear bubble bowl. Curly willow is added to increase interest. (Certain flowers and container may be varied due to availability. Our designers will find a matching substitution for the best presentation).